İnternette Rastladığım Ahmet Pekel Bey’in değerli sunumunu sizlerle paylaşmak istedim. Sunumu amaç, kapsam ve içerik olarak çok beğendiğimi ve yol gösterici olduğunu söylemek isterim. In a past posts we looked at using ITIL & PRINCE2 together, here we are going to look at using ITIL in conjunction with Six Sigma. 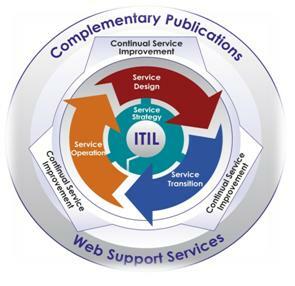 Continual Service Improvement, one of the ITIL service life-cycle stages, is about looking for ways to improve process effectiveness and efficiency as well as cost effectiveness. Whilst the Continual Service Improvement publication gives a generic method for process improvement (the five stage CSI model of ‘What is the Vision?’, ‘Where are we now?’, ‘Where do we want to be?’, ‘How do we get there?’, ‘Did we get there?’), other more defined methodologies are available which offer in-depth analysis of business processes in order to improve efficiency. Six Sigma is one such process improvement methodology that can be used with the ITIL framework. There are several similarities between the ITIL & Six Sigma which allow them to be integrated. Six Sigma establishes a ‘Voice of the Customer‘, and all improvements to processes are to add value to the customer (a customer being defined as ‘a person who receives the product or service of a process’). ITIL’s definitions are slightly different (a customer is ‘someone who buys goods or services’ and but a user is ‘a person who uses the IT service on a day-to-day basis’), but CSI is focused on creating and maintaining value for the customers. ITIL’s definitions of customers and users would both be considered as customers in Six Sigma. Six Sigma’s methodology enables improvements by measuring a process for defects (or anything that doesn’t add value to the customer). Due to the nature of IT services, metrics for measurement are usually readily available, whether they are technology, service or process metrics. All of which can be analysed using Six Sigma’s statistical tools with a view to adding value to the customer. Due to the nature of Six Sigma, it’s tools can only be applied to a process that contains repetition over time, in order that you can measure any defects over time. Therefore, using Six Sigma as a methodology for Continual Service Improvement would be very effective as the focus of adding value features heavily in both. ‘Buy in’ must be obtained from senior management in order to provide the support, budget and resources required for successful ITIL & Six Sigma initiatives. A ‘Voice of the Customer’ must be established and used as the driver for improvements to any processes, whether they are IT based or not. A Service Catalogue should be defined and published that fits into the Service Portfolio. This will define which services are retained or retired in order to transform the organisation and grow the business. Roles and responsibilities should be clearly defined in a process governance structure so all projects are validated according to the business goals and objectives. Opportunities to improve a project should be identified by measuring the correct KPIs and CSFs. In order to implement ITIL and Six Sigma, an organisation-wide process structure will be needed. Development of staff skills should be developed to ensure the correct skills are in place to support ITIL & Six Sigma (ITIL Experts, Six Sigma Green & Black Belts). The correct tools, resources and procedures must be in place to measure and analyse the relevant metrics and data. Strong project and programme management skills will be required to implement ITIL and Six Sigma across and organisation. PRINCE2 and MSP are potential frameworks for this. The organisational change towards ITIL and Six Sigma must be managed properly, to avoid the failure of the project. 3 Günlük ITIL Foundation Kurs sonrasında 40 soruluk bir sınavı (en az 26 doğru yapmak gerekiyor) başarıyla geçerek bu sertifikaya sahip oluyorsunuz.Ben de kursu tamamladıktan sonra sınavda başarılı olarak (%80) bu sertifikaya artık sahibim. Kurs içeriğini aşağıdaki daire grafikte özetle görebiliriz. Yine bu konuları süreç odaklı olarak burada paylaşmaya çalışacağım. 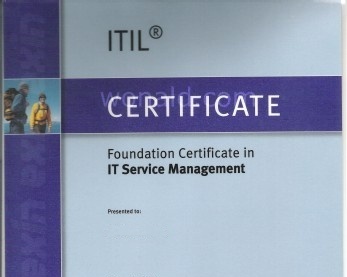 Bu sertifikanın ITIL Expert olmak için yolun başı olduğunu aşağıdaki piramitte görebiliriz. Eğitimin IT süreçlerinin bir birleriyle olan ilişkilerini anlamakta ve süreçlerin detaylarındaki önemli konuları öğrenme açısından çok yararlı olduğunu düşünüyorum.